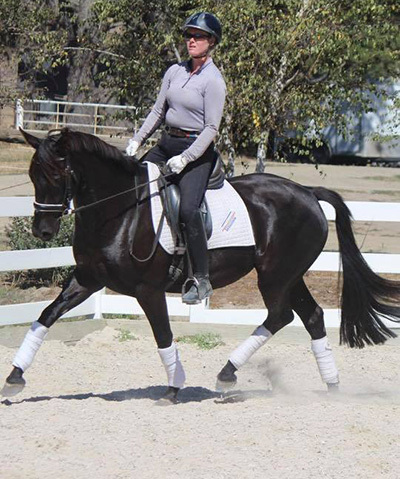 Very attractive black warmblood mare. Rising 4, 16hh. 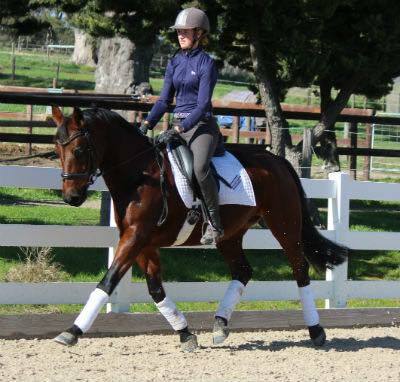 Recently started her training under saddle and is showing lovely paces a good extension and very types under saddle. Sired by Don Duchovny (imp) Don Frederico out of a Jazz mare. 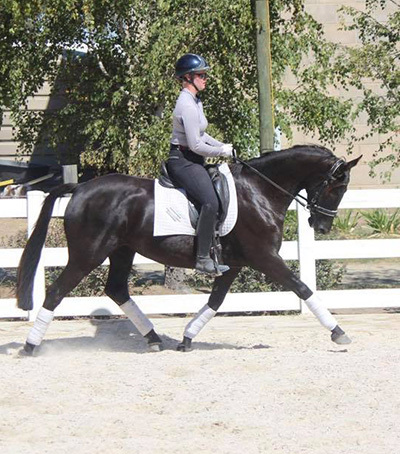 This young mare will suit dressage or show hunter - she is lovely. 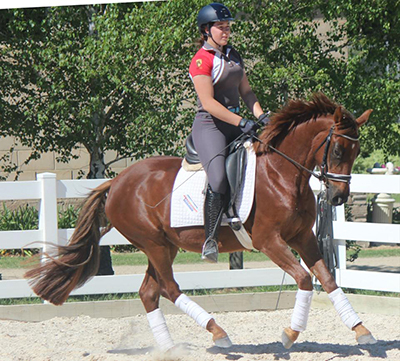 Liver chestnut warmblood gelding, recently started under saddle and showing enormous willingness and trainability. Mature 16hh. Sire Dreamaker / Donnerblitz / Rotspon out of the same Bicentenary dam as Danson Donnerkisses, successful performance mare. 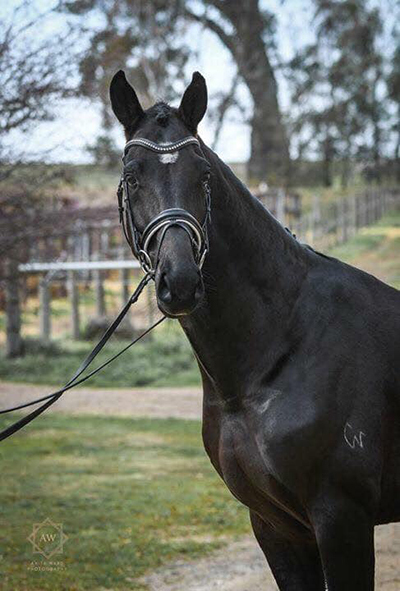 This lovely young gelding will excell in dressage or eventing, a black canvas to develop, he has been very safe and sensible to do everything with. Three lovely paces with an elegant airy, flowing trot. 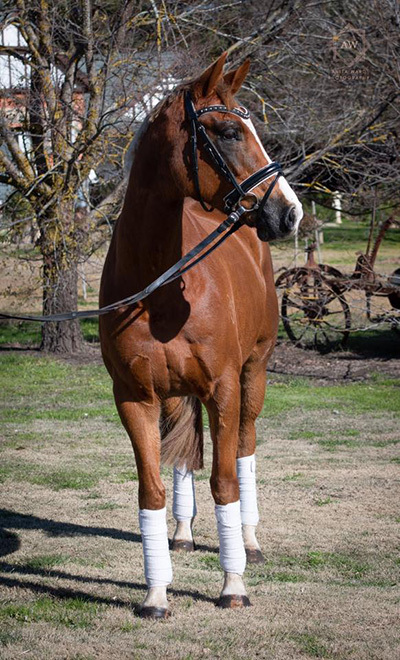 Sire Danson Dreamaker / Donnerblitz / Rotspon out of a Cooperit mare. 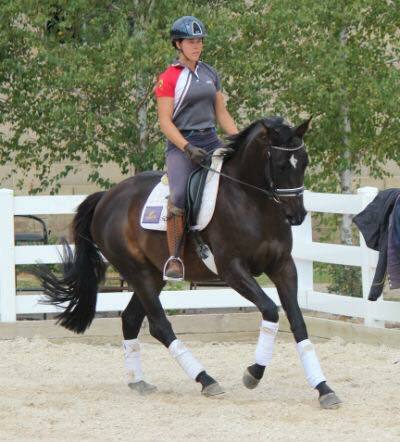 This young gelding is a real athlete he will mature around 16.2hh. Recently started under saddle he is very safe and sensible. 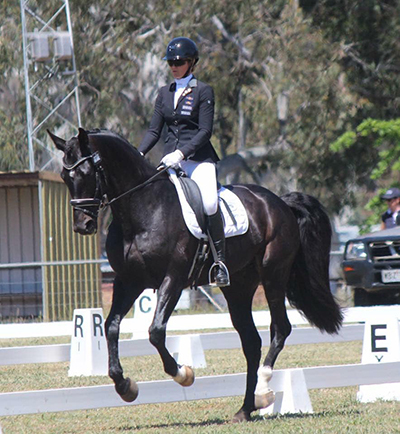 He is a real eventing type and is very scopey in all three gaits. 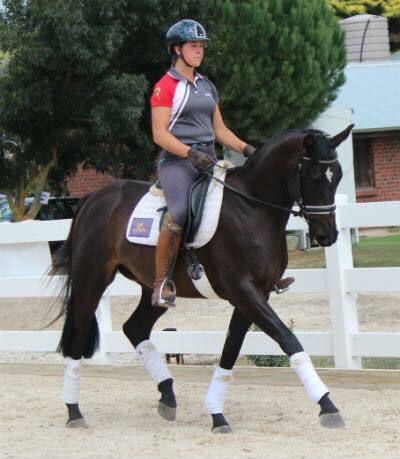 This is a great future performance horse. Whilst he hasn't done a lot of competition, due to him being a busy young breeding stallion, he is ready to be nationally competitive. 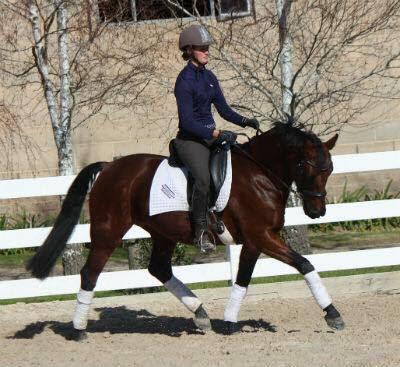 He is training all of the lateral work at home and has offered a clean flying change on each leg. He can extend and compress. 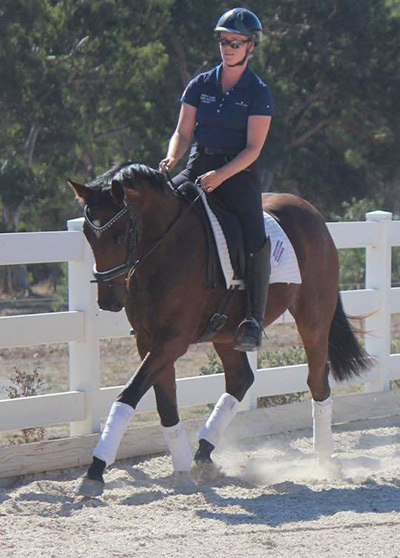 He is a head turning, magnificent young dressage horse that certainly more than catches the eye. STOP PRESS...Voices so far has won every Prelim and Novice test he has competed in, all with scores over 70%. He is currently training towards the 6 year old class at DWTS. 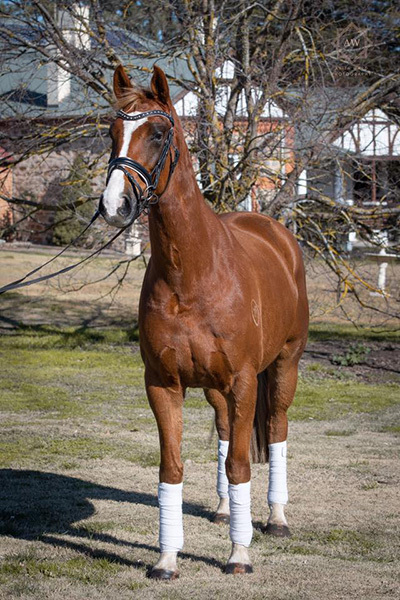 Sire Carlos / Dreamcatcher / Jazz out of Anaconda Ann - the dam of successful eventing horses. Rising 4, mature 16.2hh. So much talent in this athletic gelding. Three good, clear quality gaits with a great canter, he has been introduced to jumps and is clean and scopey. 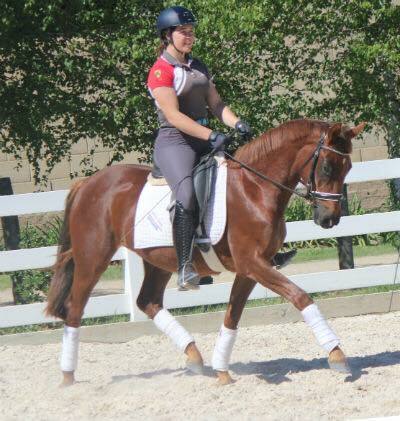 This gelding would suit dressage or eventing, he is safe to ride and willing to work and will be a fun horse to produce. 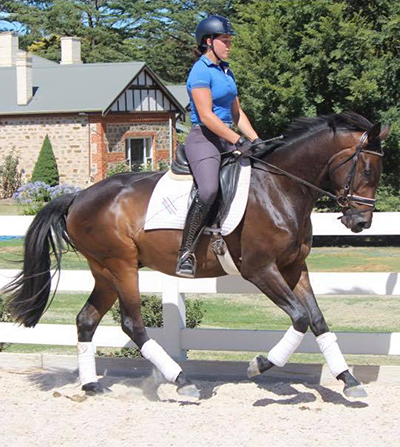 NEW LISTING - Sire Dreamaker / Donnerblitz out of a IFS Damsey mare. 3 years, currently 15hh mature 15.2hh. Smaller package but movement and trainability plus in this talented young mare. Recently started her training under saddle and showing a willingness and straight forward attitude. Lovely flowing expansive paces - she will develop impressively. Athletic Alessandro / imp / exp / Sandro Hit out of a thoroughbred mare. 4 years, 16.1hh. 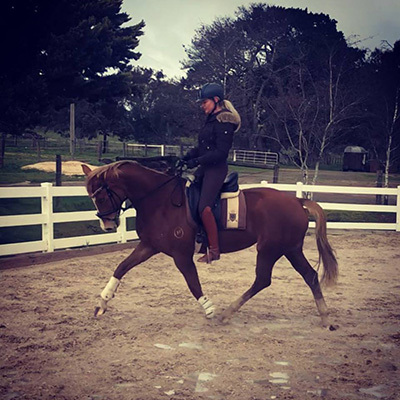 Lovely looking mare that is very eager to work and willing with a good engine, three lovely paces with a good reach and extension in the trot. Will be a lovely dressage or eventing prospect. Safe to ride and ready to start her competition career. Video available on request. Currently in foal to IFS For Romance - 2019 foal. Absolutely stunning Charmeur mare! This charming IFS bred young mare is a beauty. 4 years, 16.1hh, chestnut with flaxen mane and tail. Sire Charmeur out of a Falkland mare. 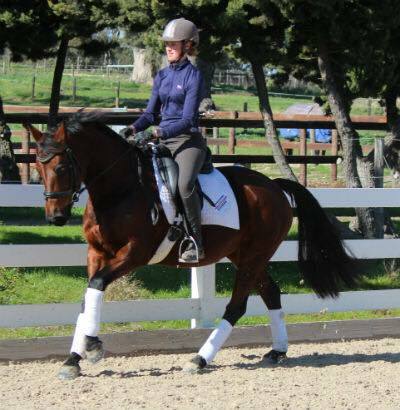 Three very good paces with an excellent engaged hind leg. 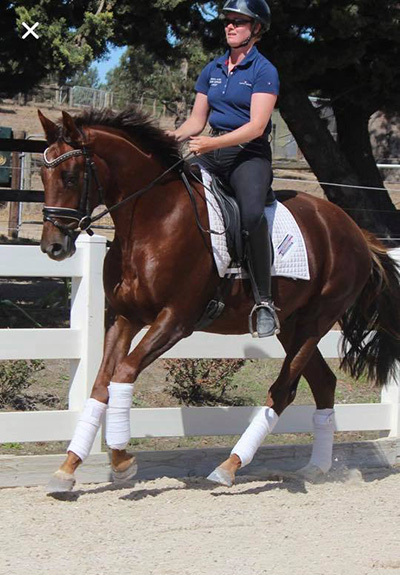 Charm has a very good temperament and is safe to ride and willing. 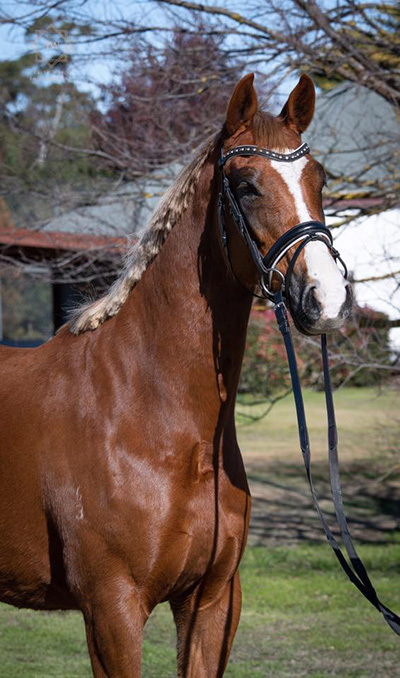 A quality young mare that is enchanting with her beautiful looks and rideability. Currently in foal to Royal Mirage W (imp) - 2019 foal. Beautiful IFS Damsey mare (Damsey - international Grand Prix and a world record holder) 15.2hh, 7 years old. Lovely swinging, pretty Trot. 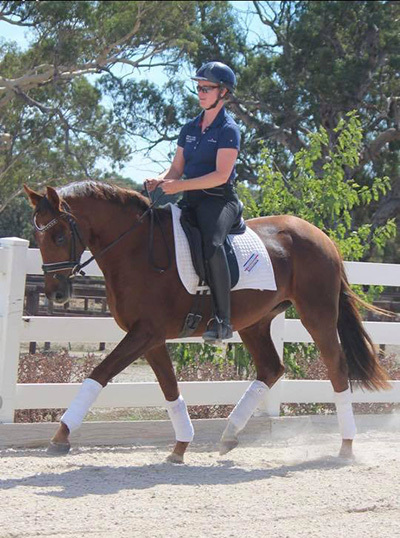 This quality-bred dressage mare has competed successfully in official dressage with good placings and percentages. 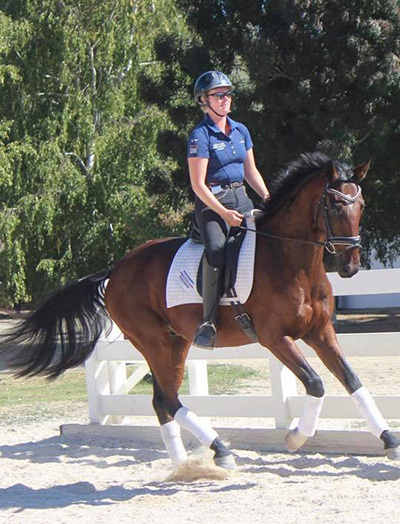 She has been lent to a 14 year old girl for the young rider dressage scholarship in which she was a true gem. 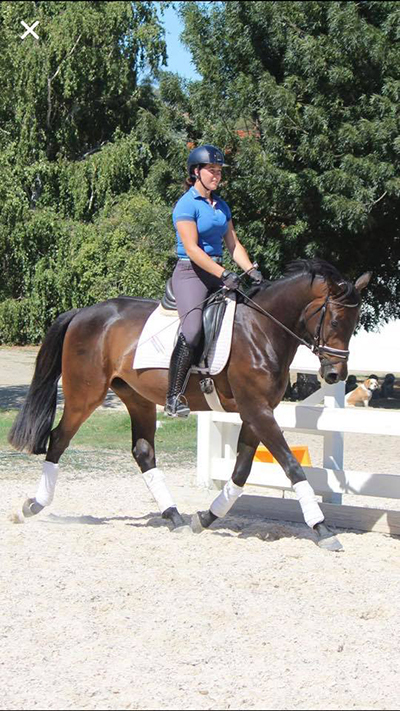 This mare is very willing to work but is safe and easy, suitable for young riders or small adults. 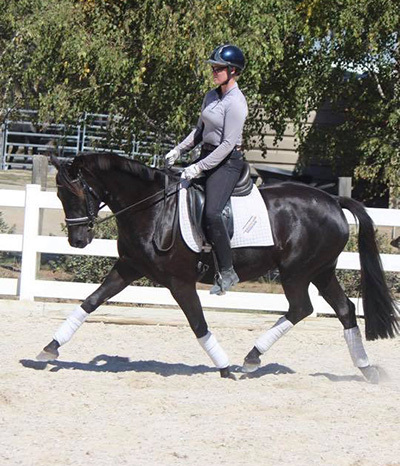 With lovely movement, this mare has FEI potential in a smaller package. She has started Elementary work and will find flying changes easy.